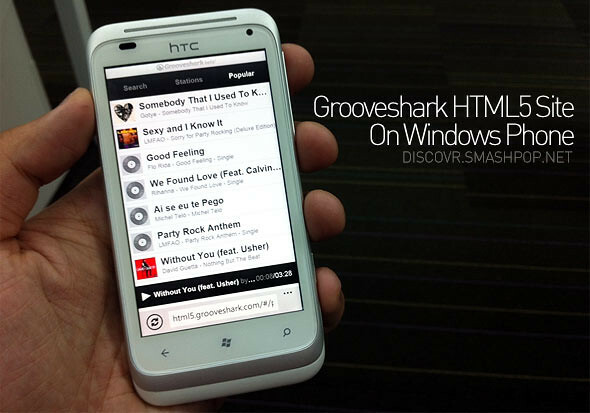 Grooveshark.com.. a portal we’ve been using for the longest time on the computer to stream any music.. has finally launched a HTML5 website that is compatible with the Windows Phone! The html5 site is good enough to satisfy our music needs. It even has lockscreen controls! 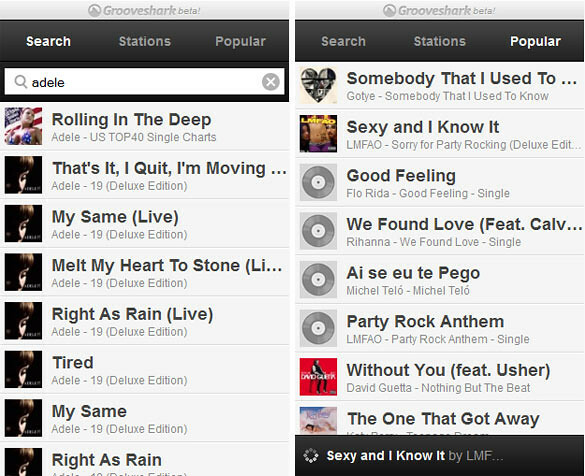 So once you load html5.grooveshark.com on your Windows Phone browser, you get to see the 3 buttons on the navigation bar. Search: You can find songs using title or artist name. Stations: Sort of like categories for songs. Popular: List of all current popular songs. The site is working quite well with a little glitch on the ‘now playing’ bar.. but other than that, it’s a pleasant experience using it. Hope they launch an app soon. One Response to "Stream Music For Free On Windows Phone With Grooveshark HTML5 Site"
I’m really glad I did.I will definitely be coming back.